Indeed Labs Retinol Reface Skin Resurfacer (30ml) effectively targets signs of ageing by reducing the appearance of fine lines and wrinkles. A unique 3-in-1 formula, it combines Retinol RA, Retinol-Like Peptide and plant-based Retinol Microspheres to help deliver softer, smoother, noticeably younger-looking skin. Retinol, a derivative of Vitamin A, is considered to be one of the most effective ingredients in treating signs of skin ageing. 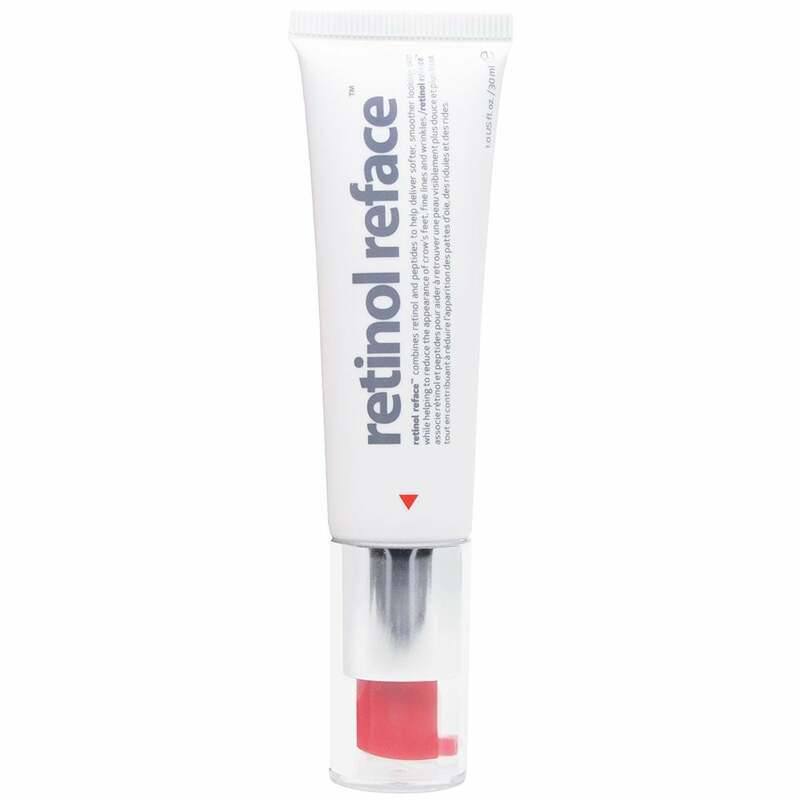 Gentle enough to use on all skin types, Retinol Reface enhances Collagen production, reduces acne scars, promotes cell turnover and improves skin texture and tone. Free from parabens, fragrance and colourants. Cruelty-free. Apply 1-2 pumps evenly over a cleansed face and neck every other evening initially, working up to daily evening use. For best results, use consistently as part of your evening skincare regime. I really don't know about this product. It is full of silicones and smells awful. The pump also doesn't work well. I used it for a few days before I felt that it really broke me out, so I had to stop using it. I would not purchase this again. Might be suitable for less senisitive / acne-prone skin types? Nice to use but too early to see results yet. Excellent product. Easy to use and gives a lovely smoothness to skin. A super gentle but effective retinol product. Great for beginners or those wanting to have a break from stronger creams. This will change your skin for the better!